Caramel apples are a classic autumn indulgence. So it seems unfair that some people can partake of such luscious caramel treats while others are left out because they cannot have dairy (like my daughter and I). Thankfully, with this recipe, everyone can enjoy the sweet caramel dip without the worries of milk or corn syrup. This faux caramel is also lower in sugar than the typical caramel candy-based version. 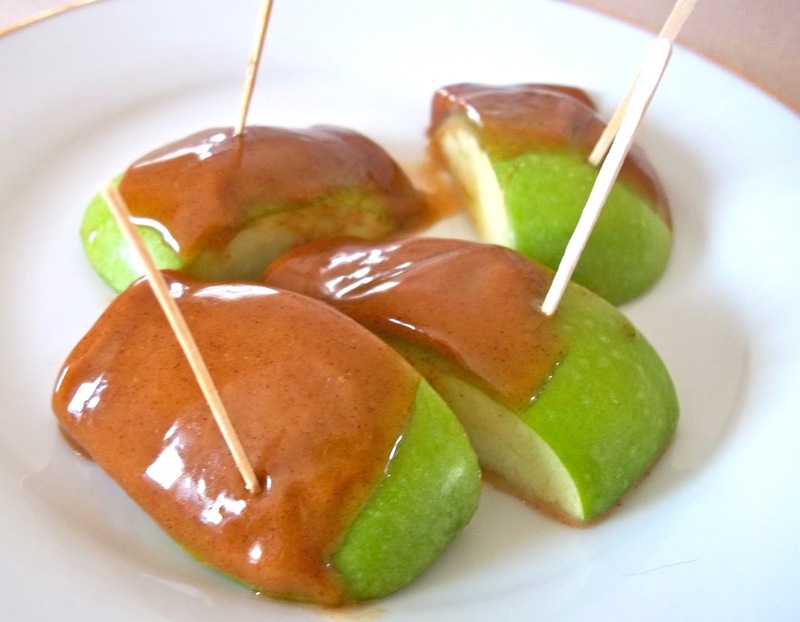 Gourmet caramel apples can cost several dollars a piece; these homemade treats came in at about a dollar per apple and use healthier ingredients. The cost would go down even more if pick your own apples or opt for peanut butter in place of the almond butter. *add 1/2 teaspoon salt if using unsalted almond butter. Wash and dry apples. You may want to insert wooden popsicle sticks (though I just used the stems to grasp the apples). Place sheets of waxed paper on the counter and spray or lightly grease with oil. In a small saucepan, combine almond butter, brown sugar, honey, and maple syrup. Heat over medium low heat, stirring frequently. When the sauce starts bubbling on the bottom, begin dipping the apples. Continue stirring between each apple dipped. Place apples on waxed paper to cool. 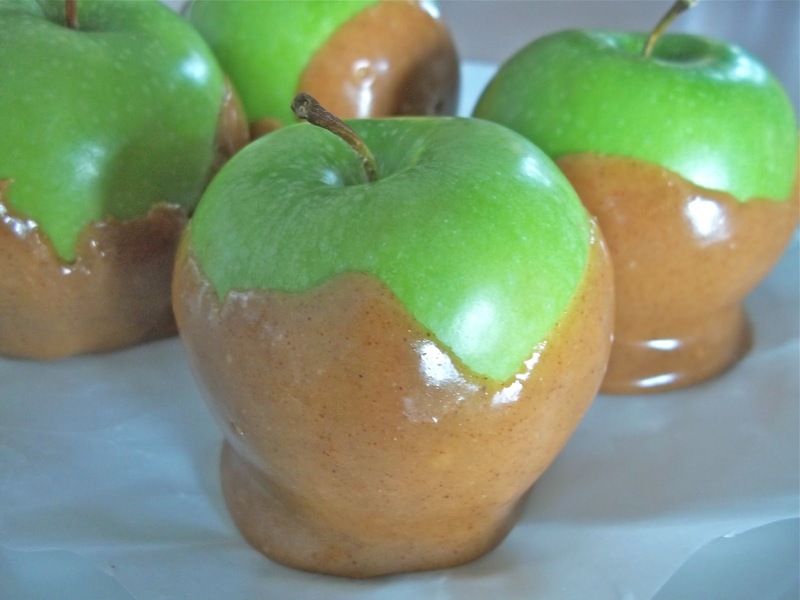 Serve dipped apples whole or cut into slices. I'm sharing this recipe at Pennywise Platter Thursday.